The King Cake from Normandy, the first 2013 recipe from Ride the Flavour! 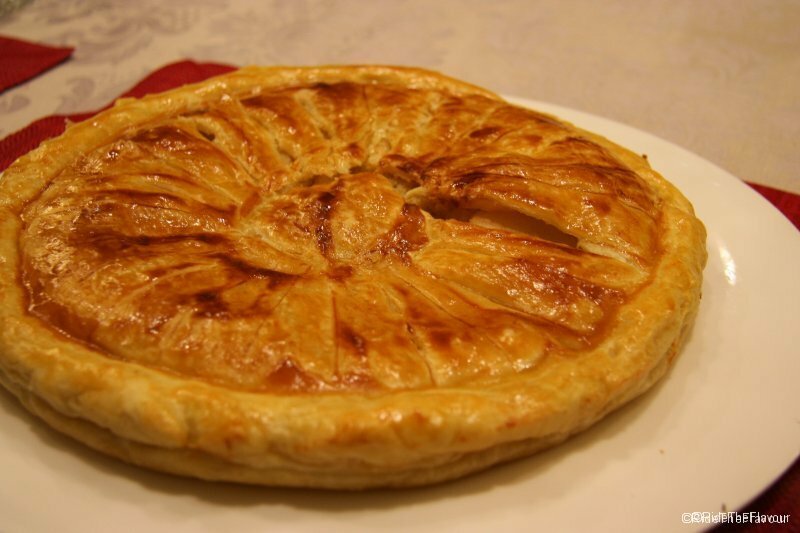 These days in France, the tradition is to choose the king by hiding a trinket into a cake. The one finding it becomes the King of the Day (what does being the king of the day mean? You decide!). 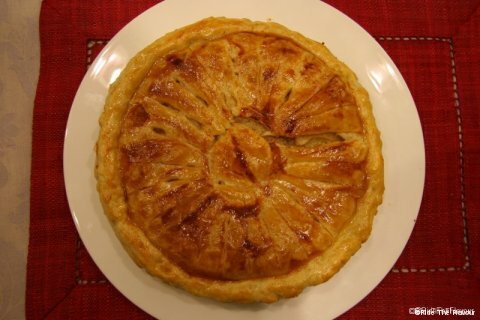 Today, Ride the Flavour gives you the occasion to try this tradition with this succulent King Cake, cooked as if it really came from Normandy (North west of France). 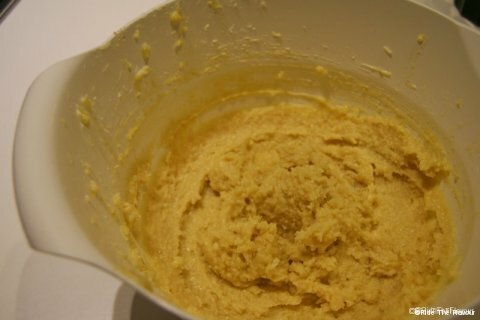 1) Using the whisk, soften the butter. Add the sugar and whisk until you get a homogeneous mixture. 2) Add the egg, whisk, then the yolk and whisk again. Add the kirsch, then the almond and the flour, whisk until you get an homogeneous mixture. 3) Slice the pears, and sprinkle with lemon juice to prevent them from darkening. 4) Put the first puff dough into the mold and spread the mixture. 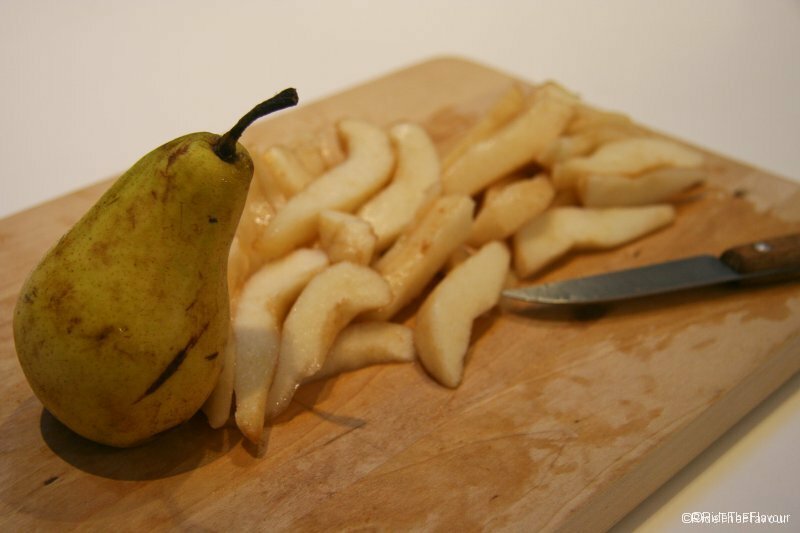 Put the trinket and cover the entire surface with the slices of pears. Then cover with the second dough and make sure the two doughs are joined. 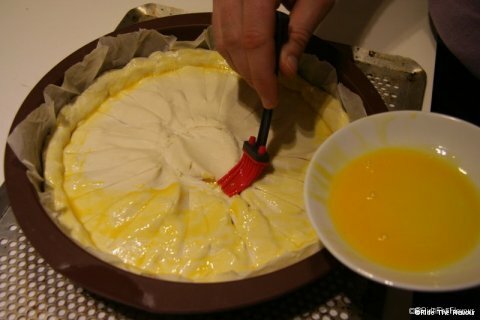 5) Using a bruch, spread the remaining yolk over the dough, it will turn into a golden color in the oven. 7) Put it in the oven at 200°C for 12 to 15 min, when it gets golden, lower the temperature to 180°C for 25 to 30 min. That’s it, your King Cake is in front of you! 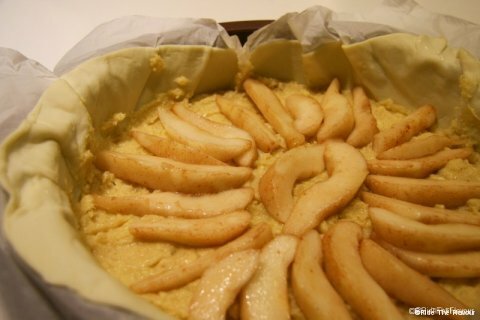 We advice you to eat it lukewarm, it is better! And to fully live the tradition, you can design a crown intended to the one who will get the trinket and be proclamed King of the Day!